BRIDGETOWN, Barbados – Barbados plans to remove Queen Elizabeth II as titular head of state and replace her with a ceremonial president from the Caribbean island, a former British territory once known as “Little England” for its colonial trappings. Prime Minister Freundel Stuart announced that the plan is to make Barbados a republic by November 2016 when the island of roughly 300,000 people celebrates its 50th anniversary of independence. He said it makes no sense to keep the monarch as the head of state of an otherwise independent country. “It’s a little awkward in the year 2015 to still have to stand up and instead of pledging allegiance to Barbados to be pledging allegiance to ‘her majesty the queen,'” Stuart said during a late Sunday meeting of his ruling Democratic Labour Party. The republican debate has raged for years in Barbados between older islanders who see the queen as a symbol of stability, and mostly younger nationalists who call her an anachronism. It echoes similar debates in many countries that once were part of the British empire and retained the queen as their head of state after independence. In the Caribbean, former British colonies including Dominica and Trinidad and Tobago have established republican forms of government. But others such as Barbados and Jamaica have not replaced the queen with another head of state even though their officials have called for the tie to be severed. Upon taking power in early 2012, Jamaica Prime Minister Portia Simpson Miller said the queen was a “lovely lady” but insisted her country must remove the monarch as head of state, in part because of slavery’s legacy. But nothing has changed since Simpson Miller made that statement. Despite the change, Barbados would remain in the Commonwealth grouping of former British colonies, according to Stuart. Barbados needs a two-thirds majority in Parliament to authorize the constitutional change. Stuart’s government currently has that majority in the senate, but not in the lower house. Opposition leader Mia Mottley did not immediately comment on Stuart’s plans. Barbados was among the few islands settled in 1605 by English colonists who imported slaves from Africa. While other Caribbean islands were swapped as war booty among Spanish, British, Dutch and French colonizers, Barbados remained British during the colonial years. But in a sign of changing times, Barbados adopted the Caribbean Court of Justice as its final court of appeal in 2005, dumping the London-based Privy Council that long served as the court of last resort for many former colonies. 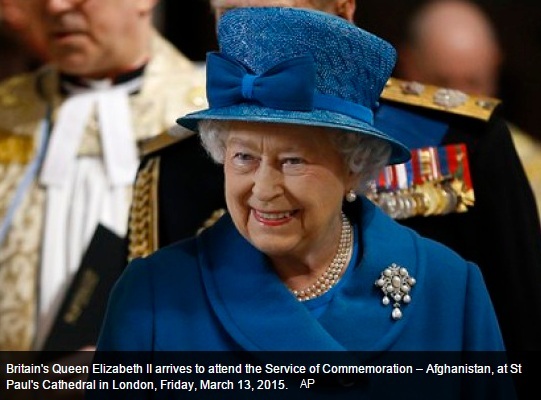 After Barbados, who will be next to give the Queen her marching orders? Barbados is getting rid of the Queen. For some reason, the prime minister, Freundel Stuart, feels that the country’s head of state should not be a foreign white woman who has the job because of a history of conquest, who is also head of state for 15 other countries, including most of their near neighbours, and who last visited Barbados in 1989. Stuart promises to present a bill to remove her in time for next year’s 50th anniversary of Barbadian independence. If he does so, it is expected to pass. In Canada, a poll in 2014 showed that, if there were to be a change in the constitution, the majority would prefer “a Canadian-born person chosen by Canadians” as head of state, although no such change looks imminent. Australia nearly embraced republicanism in a referendum in 1999, but 54.9% of those who voted chose otherwise. The difficulty in agreeing what should replace the Queen was part of the problem, and since then the question has faded from view a little. Last February, just 39% of those Australians polled wanted a republic. In Tuvalu, voters have twice chosen to keep the Queen, in 1986 and 2008. Perhaps a smart outside bet might be New Zealand. Sentiment there is broadly in favour of keeping the Queen, but her supporters tend to be older. Nor has there been a referendum recently. Instead, there will be a binding vote next year on whether to drop the union jack from the country’s flag. If this stirs up some republican feeling, and if King Charles III makes a poor first impression, and if the Duke and Duchess of Cambridge stop having cute children … well, you never know.